Perfect Form and Function. 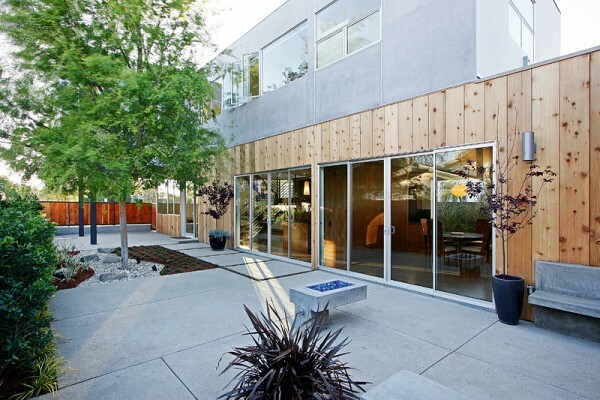 Highly designed 2012 architectural gated compound, melds privacy with quality urban design. A sleek interior with open spaces creates a dramatic lower level with a sculptural balance of light and volume. The walls of glass retract to bring the well appointed and beautifully landscaped outdoors in. This innovative space has custom walnut cabinetry, numerous built-ins and a beautifully appointed kitchen. You'll enjoy absolute black honed granite, side-by-side Sub Zero's, Viking cooktop and ovens as well as other high-end appliances. A state of the art Control 4 home automation system allows you to operate the prewired and installed audio visual system, hidden automated shades, lighting control, HVAC, Alarm & Cameras from anywhere. The downstairs office could be a 4th bedroom. Upstairs two en suite bedrooms and an alluring master suite with his/her closets await you. Live the ultimate Venice lifestyle.